A recent Court of Appeals decision in Michigan is a timely reminder to attorneys representing clients who are suing medical professionals for medical malpractice that the exact status of any medical experts sought may be vital to the outcome of the case. The Michigan Court dismissed an appeal by a mother, Leana Cox, to overturn an earlier decision to dismiss a case against a doctor and a registered nurse. Cox had filed an infant birth injury lawsuit jointly against an obstetrician, Dr. Eric J. Hartman, and a registered nurse, Tracey McGregor. She had accused them of being negligent in the delivery of her daughter. The birth, according to Ms. Cox, resulted in her daughter being injured. At the appeal, Cox was relying on the testimony of an “expert witness,” a nurse practitioner, Claudia Beckman. The testimony was not heard as the three judges presiding at the Court of Appeals decided that Beckman was not qualified to make any professional judgment about a registered nurse. Subsequently, the appeal was dismissed in favor of Tracy McGregor. Dr. Hartman was not a party in this appeal. Attorneys who take on medical malpractice cases are not necessarily that knowledgeable about the differences between medical professionals. From an outsider’s point of view, it might be understandable to think that a nurse practitioner (NP) was quite capable of evaluating the professional standard of care of a registered nurse (RN). They are both nurses, right? In fact, a nurse practitioner is actually one step above a registered nurse. NPs have the authority, albeit a restricted one, to diagnose patients and administer treatment and medication without the need for instructions from a doctor. RNs do not have this authority. There are other differences in the level of training involved which differentiate the two categories of a nurse. RNs receive a license to carry out a nurse’s job after a certain number of years training. NPs may start as RNs, and then go on to complete certification as a nurse practitioner and often have a Master’s Degree. NPs, then, have a higher qualification than a RN and may be more likely to work in a smaller, more rural location whereas RNs tend to be concentrated at the coal face of nursing in more urbanized environments and in larger hospitals. 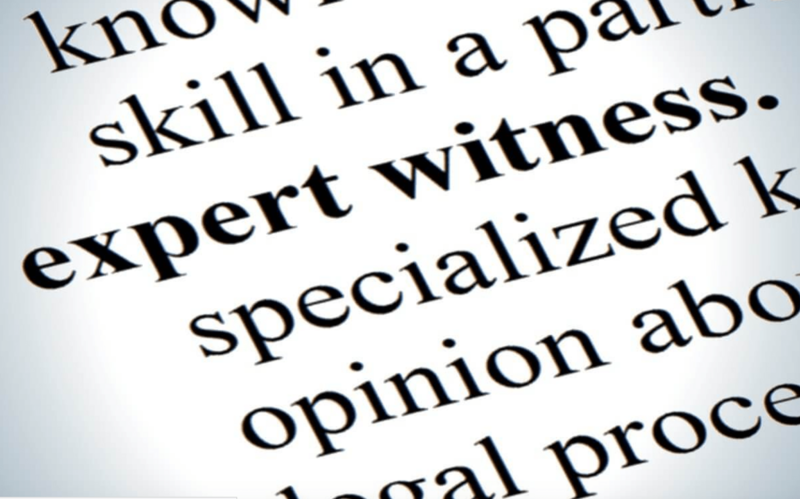 With regard to the case referred to, Michigan law states that an expert witness must have equal professional status as the person under evaluation and that the witness must have been carrying out this status for the majority of the previous twelve months. It was determined that NP Beckman, who had been teaching nurse practitioner students for the best part of the previous 12 months, was not, legally speaking, sufficiently competent to judge the professional behaviour of RN McGregor. The interesting point made by the judges in their dismissal was that it was the fact that Beckman had been involved in teaching NPs rather than RNs in the previous 12 months which was what determined her unsuitability, rather than her professional qualifications. She had already trained as a RN and had retained her RN license in addition to her certificate as a NP. The moral of the story, as far as attorneys are concerned, is to make absolutely sure that the expert they are able to find is capable of providing a suitable testimony, or the case may be wasted. A medical malpractice lawsuit is just as likely to use a doctor as a reliable “expert,” and it may not be widely understood by malpractice attorneys that there are in fact two categories of doctors whose differences in training, qualifications and methods of treatment may make them unsuitable to judge each other’s professional conduct. The majority of medical doctors (MDs) are more correctly known as allopathic doctors, whereas the other type of doctor is an osteopathic doctor (DO). For most practical intents and purposes, both types of doctor deal with the same types of medical issues and have similar levels of training. In a typical hospital, allopathic and osteopathic doctors may work side by side. Osteopathic doctors may make the same diagnosis as an allopathic colleague, but are more likely to suggest a ‘whole body’ approach to treatment. The differences may not be obvious to anyone not in the medical profession but must be taken seriously into account when searching for a suitable “medical expert”. For the same reasons as with NPs and RNs, a MD cannot be used to evaluate the professional conduct of a DO and vice versa. Note that the law as described herein Michigan may not necessarily be the same in other states and is simply another reminder of just how well prepared an attorney must be before bringing an important case to court.